If you haven't strolled under A1A in the Turtle Tunnel from the community center to one of Ponte Vedra's finest beaches, you owe yourself to experience the lifestyle. Turtle Shores is a quiet, gated community with beautiful amenities like basketball & tennis courts, pool & clubhouse. This home is one of the finest homes in the neighborhood, too many updates and features to list but a few to mention: elevator, new porcelain tile & wood floors, new doors, plantation shutters, Viking and Sub Zero appliances, epoxy pebble stone garage floor, hurricane rated garage door & windows. 3rd floor living and kitchen areas provide Intercoastal and peek-a-boo ocean views. The kitchen is a chef's or guests dream kitchen, comfortable, practical and elegant beach chic vibe.Entertaining or finding privacy, this home will easily do both! 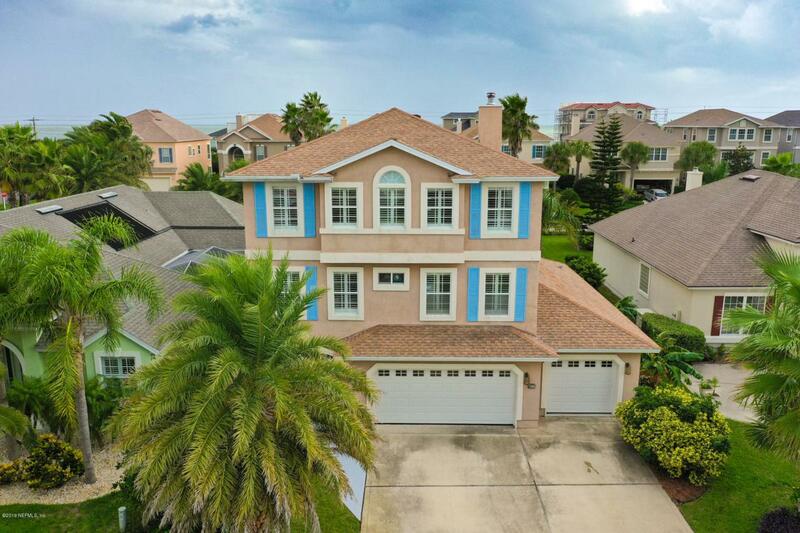 There are so many great spaces, watching sunsets in the kitchen, finding a quiet moment in the library, listening to the ocean at night, this beautiful home is easy to fall in love with! Listing courtesy of Home Barkers, Llc..